I’m not a big custom wheel fan, partly because I’ve never run very wide tires so narrower OE wheels work well, and partly because wheel bling is not my thing. I’ve purchased exactly two sets of custom wheels in all my years of tinkering with four-wheel-drives, one set for my old F350, and one set for my 4Runner—both were later sold after very little use. There may be another set in the F350’s future if I stay with 285s, but that’s down the road. It’s much easier to find take-off wheels for new or current platforms, when enthusiasts are removing OE tires and wheels and replacing them for appearance or something bigger. For example, it’s very difficult to find a nice set of 16×7-inch factory forged aluminum wheels for the 1996 F350. Few are modifying these trucks that ceased production in 1997, and the supply of OE wheels dried-up long ago. Ford changed the bolt pattern on the heavy-duty 1999 F-series, so newer OE wheels don’t fit. 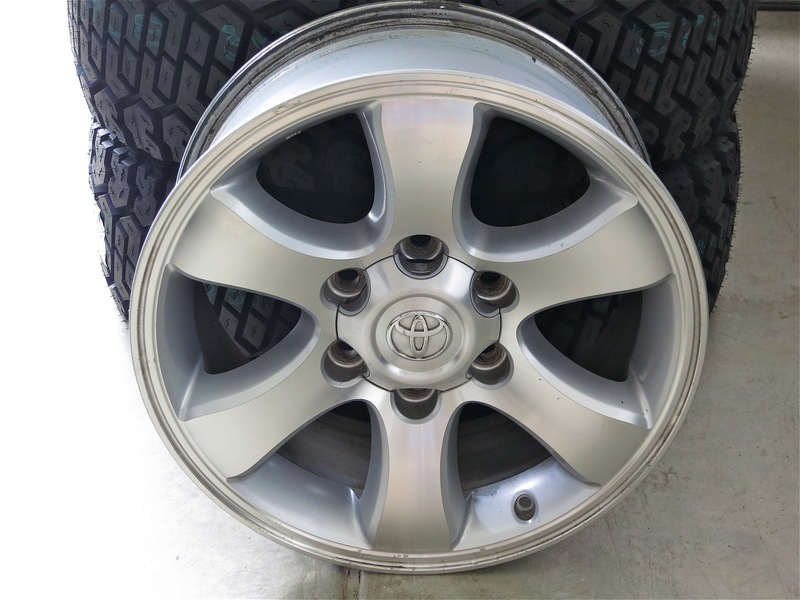 In the case of the 4th Generation Toyota 4Runner which ceased production just a few years ago, OE take-off wheels are not terribly difficult to find, but finding the exact style I wanted for a reasonable price was a bit of a challenge. The 4th Gen. 120 platform 4Runners were sold with 16, 17, and 18-inch wheels, and in a few different styles. It should be clear from my Wheels, Tires and Sidewalls post last month that I prefer more tire and less wheel. But I wanted to procure a set of seventeens so I could eventually mount some of the 285/70R17 tires I’m amassing for the Tundra, onto the 4Runner. 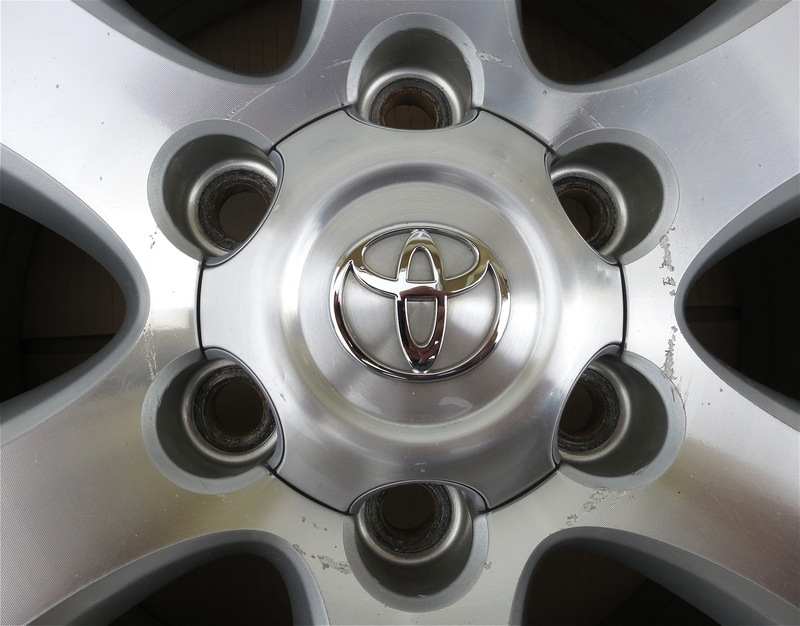 I was specifically looking for the earlier 6-spoke, 17-inch Sport wheels, not the later, 5-spoke design which is more common and the same or very similar to the 17-inch Tacoma wheels. 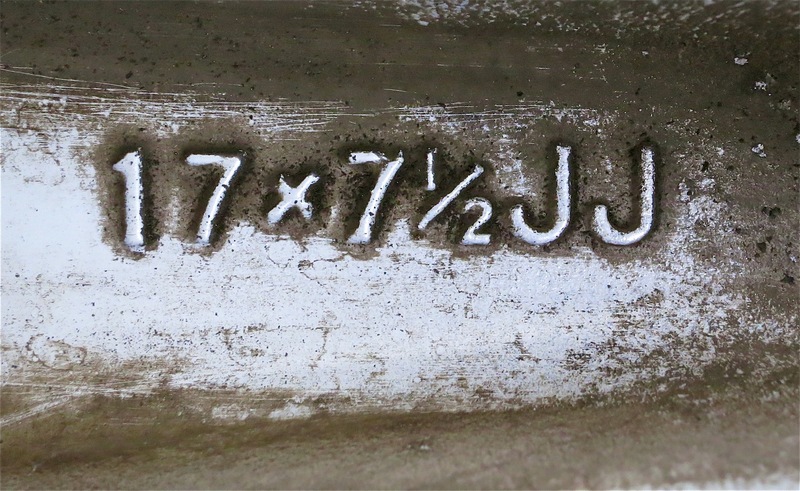 These seventeens are 7.5-inches wide, just wide enough for 285 tires. The 6-spoke seventeens are just old and uncommon enough that there are fewer offerings, and the prices are higher than other 4th Gen. take-offs. When it comes to shopping for used wheels Craigslist is a blessing (or is it a curse). I missed a local set for $250 a few months ago, and while I continued to search nationwide, I didn’t want to pay for shipping. After months of intermittent shopping, I found a set in Oregon that did not sell for the original asking price of $400.00. A potential buyer looked at the wheels but passed due to scuffs. The listing expired, but I stayed in contact with the seller, as a planned trip to Eugene, Oregon, was going to put us within 100-miles of the rims. Without seeing a good picture of the damaged wheels I made a tentative offer of $300, which was accepted, and weeks passed. It was a two hour drive to meet the seller, but even at $4.00 per gallon for diesel, the cost to pickup the wheels was small. Driving the little VW TDI hatchback about 70 miles-per-hour the round trip fuel economy was 48.66 MPG. Rim damage mostly from pound-on wheel weights. 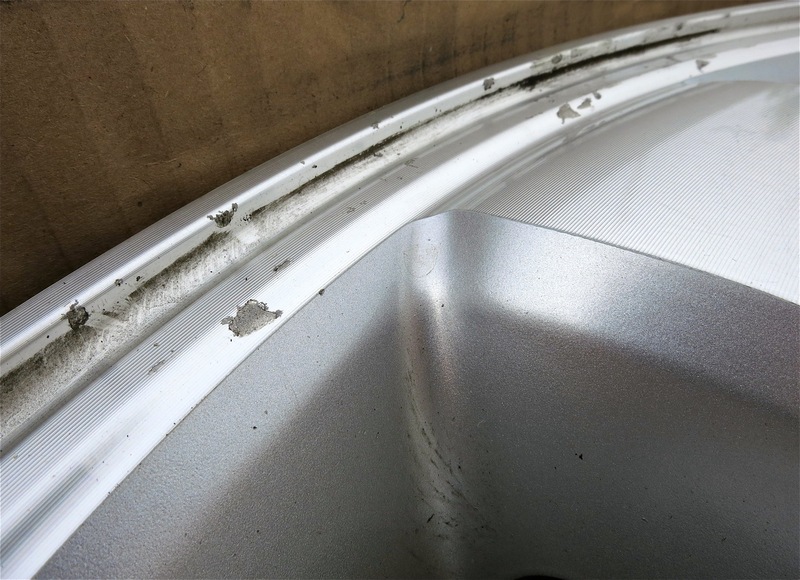 We met the seller and inspected the wheels, which did have a few typical gouges near the rims from normal use. The one with the most damage appears as if it was mounted on the wrong tire machine, with a circular gouge near the center of the wheel. I would prefer no such marks, but I use my four-wheel-drives in the rocks and dirt, so there’s a good chance I’ll further damage these wheels during off-highway travel. I do not need, nor am I will to pay for new or perfect wheels. I offered him $250, he countered with $275 and I agreed. Now what tires should I mount?